Virtual presentations are fast becoming the new normal. They can take the form of webinars, virtual conferences, sales presentations and meetings. There has been a lot of emphasis on developing good presentation skills, but do the same skills apply for virtual presentations? How different is it when presenting to a virtual audience versus a live audience? How do we ensure that we are able to engage our audience even if we can't always see them? In this E-Book, you will learn about types of virtual presentation, virtual versus live, picking the right technology, how to engage a virtual audiences, do's and don'ts. 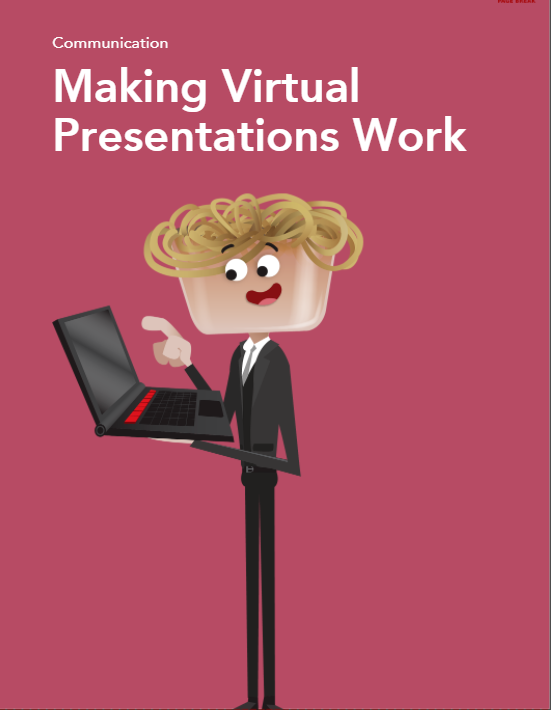 We also give you some tips and tricks to do virtual presentations that work.